Most recent stories are at the top. 2/1/2016: Due to a winter storm the Dolores School District opened school on a two hour delay on Monday 2/1/2016. The Middle School and High School started at 10:05am and the Elementary School began at 10:15am. Teddy Bear Preschool opened at 9:30am. 12/15/2015: Due to a winter storm the Dolores School District opened school on a two hour delay on Tuesday 12/15/2015. The Middle School and High School started at 10:05am and the Elementary School began at 10:15am. Finals for High School students will continue as planned. To the Dolores Students, Staff and Community. The Dolores admin team would like to reassure you of the safety of our school. There is ongoing training with law enforcement and the Sheriff Departments deputies on the layout of the schools. We also are starting best practice safety procedures to create the safest environment possible. All exterior doors will remain locked during the school day. Teachers will be at outside doors during passing period. Please use the front office doors for entry into the building.. We want to be proactive not reactive to any unsafe situations that may arise in the future. We are instituting these procedures in conjunction with safety team recommendations. We have received several calls and messages about rumors of threats to our school this year. We take every call seriously, and with the help of the Montezuma county sheriff’s office, we investigate every report. We have been able to investigate and found that none of the rumors to date have been credible. Please know that your school administration, teachers, and law enforcement take the safety of our school very seriously and will continue to do so. We encourage you to contact us regarding any safety concerns you might have. We would rather know about the rumors and concerns, and be able to follow up on them than not know. Anyone can also report to Safe2Tell, and remain anonymous. November 2015: Referendum 3A passed by a 2-to-1 margin Tuesday night! Thank you for your continued support of our schools! The “Strong Schools, Strong Community” Mill Levy Campaign would like to remind you to register to vote. Go to: http://montezumacounty.org/web/departments/elections,or call the County Clerk at 970-565-3728 and make sure that you are registered to vote. We are asking voters to renew the Dolores School District Mill Levy (3A) for another eight years and continue this much needed financial support without creating a new tax. 4/13/2015 Join us for a "Critical Budget Discussion" April 21 from 6pm-8pm in the school cafeteria/commons. 3/17/2015 Click here to view Mrs. Maxwell's presentation: "Welcome Back Sixth Grade"
3/17/2015 Click here to view Mrs. Maxwell's presentation: "Standards and the PARCC Assessment"
2/11/2015: Please read the three documents below for important school funding updates and information about how you can get involved to help Colorado improve school funding for our students. 1/27/2015: Click to view "Understanding the Budget" slides from the Business manager. 1/27/2015: See below for the Open House/ Ribbon Cutting details. For further information, please call 882-7255. 9/9/2014: Click here to view a letter from Superintendent Scott Cooper explaining the Professional Learning Community (PLC) and Professional Development (PD) days and a list of "No School Fridays"
8/21/2014 - Please click here to read Superintendent Scott Cooper's 2014-2015 School Year Opening letter. Welcome to the 2014-2015 school year! I am very excited to welcome everyone back to school this year! Our vision is to provide educational excellence for all students. We will accomplish this through our mission to provide a foundation that fosters personal success for all students through an effective, innovative and positive learning environment. The Transitional Colorado Assessment Program (TCAP) results are available to the public later this month. We will be presenting and discussing these results during the school board meeting on September 11, 2014 held in the conference room at the District Office. Last spring marked the end of TCAP, the longest running state assessment in the Nation. Across the state, schools are implementing new assessments, the Colorado Measures of Academic Success (CMAS) measures our students’ social studies and science knowledge and Partnership for Assessment of Readiness for College and Careers (PARCC) will be measuring reading, writing and math skills. Our TCAP results give us much to celebrate and provide us direction for growth. Be proud of the high marks, because you are part of the team that boosted learning opportunities in our community. Whether you were the teacher in the classroom, a supportive staff member, or a parent reading to your little ones at night and helping your teenager with algebra, you made a positive difference and deserve to celebrate. Remember, TCAP is just one piece of the assessment puzzle. The construction project is more than half way complete, ahead of schedule and slightly under budget. The locker rooms will be completed this week. The elementary addition will be completed by the end of August. The new Science, Math and VoAg/CTE building will be completed by the end of December. All landscaping will be completed this fall. “Patience, understanding and flexibility,” are the mantra for our staff this semester as we complete the construction and move into the beautiful new facilities. Our superior staff will work together to maintain safe learning environments for our students throughout this semester of construction. Hopes and dreams for our district drive my work and I want to be able to add yours to the vision, so please do not hesitate to share them with me. I look forward to our future work together. 7/28/2014 Check out Sunday's Denverpost.com and look at the photo slide show of Broncos training camp. Slide #37 is a pic of a Bronco player signing autographs for a bunch of Dolores kids! Click here to see the photo. 5/23/2014 Click Here to view a brochure detailing the construction progress! 5/2/2014 The gallery below is from the Dolores High School and Middle School Theatre's performance of "Who's Crazy Now?" You still have chances to see this production. We are off to a positive school year thanks to our prepared staff, excited students and supportive parents. The schools are full of smiling students and staff who are celebrating the return from summer break and embracing thoughtful learning opportunities. Thank you all for enrolling in Dolores schools. We are at capacity, maintaining steady enrollment from last year. “Patience, flexibility, and understanding” is our mantra this school year as we prepare for construction to begin soon. · October 4th @ 2:30 Homecoming Parade and 7:00 Football Game! Do you value accountability, safety and budgets? If you said yes, please consider joining our 1338 Council, also known as the District Advisory & Accountability Committee (DAAC). Our first meeting of this school year will be on September 17th from 4:00-5:30pm in the Board Room located at 100N 6th ST, Dolores. Hopes and dreams for our district drive my work and I want to be able to add yours to the vision, so please do not hesitate to share them with me. I look forward to our future work together. Click HERE to download and print survey form. Then, complete a survey and return it to the District Office, or one of the schools. Thanks for taking time to provide us with you feedback. Today, Oct. 21, at 10:50am Dolores schools went into lockdown. We received credible information that potentially put one of our students in jeopardy. Law enforcement responded quickly and addressed the issue off campus. At 11:25am the lockdown was then lifted and the regular school scheduled resumed. 10/17/2013 Thank you Students, Staff, Fire Department and Law Enforcement for participating in a very successful district-wide evacuation drill on October 17th, 2013. If you would like to be a part of the Dolores High School Homecoming Parade, please come to the High School office to pick up a float entry form! We would love to have you! Go Bears! The new construction project has been redesigned after a grueling summer of construction headaches. It has proven more difficult than expected to remodel and rebuild school facilities that attach to multiple generations of architecture planted in a flood plain. Like most construction projects, our new school facilities will take longer to build and cost more than expected. After making the final details of our redesign to maintain the integrity of our grant and bond, we will break ground this school year. “Patience, understanding and flexibility,” are the mantra for our staff this school year. Our superior staff will work together to maintain safe learning environments for our students throughout this year of construction. 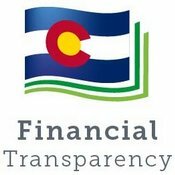 The Transitional Colorado Assessment Program (TCAP) results are available to the public August 14 growth. Be proud of the high marks, because you are part of the team that boosted learning opportunities in our community. Whether you were the teacher in the classroom, a supportive staff member, or a parent reading to your little ones at night and helping your teenager with algebra, you made a positive difference and deserve to celebrate. Remember, TCAP is just one piece of the assessment puzzle. Dolores teachers have recently been trained by our San Juan Board of Collaborative Educational Services (SJ BOCES) in the "Standards Response Protocol" created by the "i love u guys" Foundation.